well, its the last day of my "holiday" now...lets see how fun was my "holiday"..
23rd was my first n last day of finals. it went alrite...i hope. n along with a few best frenz, we went to the salon near our college. they charge my fren 20ringgit, n 25ringgit for me...hey! i tot im the fren's galfren!! now who say long hair is good?! n tht is when i got stuck in a stupid jam for God knows how long, causing me late for tuition @_@ how was my haircut? no one noticed, so its not hard to imagine. 25th was circus day!!! eventho the big guy keep wishing us tht everyday is circus day, but mine only lasted one day. the VIP seat was...+_= .... will blog about it soon with some pics..
26th was a boring friday, i went back to college for some photo shooting session. there i was feeling so proud tht i was "chosen"...i regretted immediately after the 1 hour of waiting-for-nothing. only 2 freaking shots, one in the cafeteria chatting, one in the food science lab ... i forgot wat i did... poor lydia almost got caught to disect a rat hahahhaa..
27th rested at home for half day, then headed to church for christmas production practise. 28th was church day...had a long meeting after lunch. thn had to rush back for mum's fren's birthday dinner...dont even ask y im there, i just agreed for the free n good food. 29th stayed at home until nite, had a bad argument with mum which i do not want to talk about. 30th was movie day! watched 2 movies in a row...hahaha, coz i mite not get the chance anymore when intern starts. 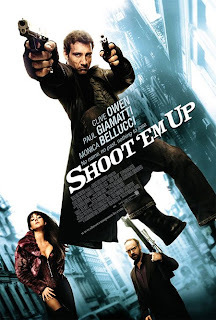 watched 1408 n shoot 'em up. we din do any research about the movies, we just went by "instinct". hence, there were no expectations from the movies, n they blew my mind off!! lesson 1: no research, no expectations, no regrets! 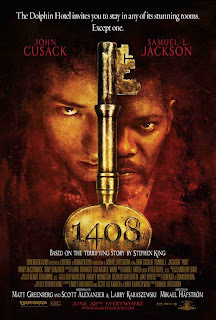 heck, we stepped into the room without knowing tht 1408 was actually a horror!! ppl who love suspense n horror, pls watch it...its really coool..i mean, scary. i think the author of this movie played well with the psyhcological effect. the actual room itself was not scary, it was the suspense he created at the beginning. one minute u tot u were safe, ure WRONG! lots of actions n comedy, but smith is abit too good....y is such a great shooter unemployed n poor? then had some good food at KK foodcourt...hmmmm ice cream waffles!! muacks!! kinda look forward to it, just sad tht my holiday ... well, couldnt expect too much.